We depart from Mytilene at 10:00 in the morning. Our first destination is the traditional village Agiasos. It is quite a big village at an altitude of 460 meters, which is famous for its paved alleys, pottery, woodcurving, as well as the adoration of Holy Mairi. 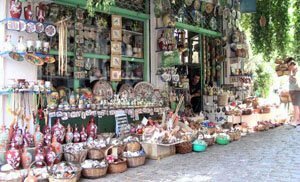 We make a stop so as to taste the traditional greek coffee at thraka (known as hovoli in greek) and the delicious local sweets. In Agiasos the church of Holy Mairi of Agiasos is located, who celebrates the 15th of August. A huge celebration takes place, while all the inhabitants of the island come in Agiasos that day, even by walking all the distance towards the village on foot. The monastery was built so as to accommodate the icon which was transferred by the monk Agathonas from Jerusalem. The next stop is the village Mesagros. The local turkish hamam dates back in 1898. 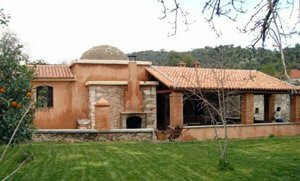 The hamam was built by turkish workers for private use by the family who lived in the stately house. The hamam has been renovated so as to cover the needs of a tourist. Later, we arrive at Tarti, a region where the water of the sea is really clean and the beach is sandy. We make a stop for lunch. 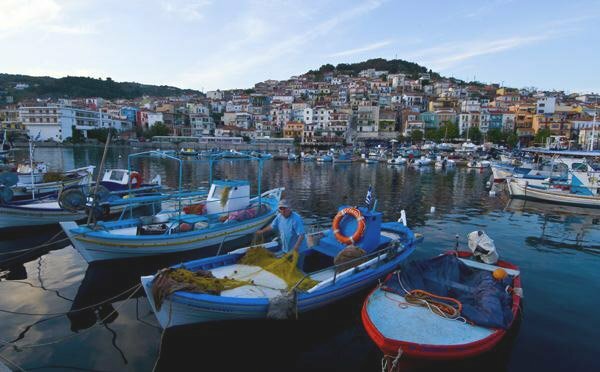 After Tarti we will visit Plomari, which is known for its ouzo industries. In the village there is the Museum of Ouzo “Varvagiannis”, where the visitor can see old machines of extraction as well as the equipment which was used for the production of ouzo. In addition, there is a museum of soap in the place of the municipality. Return in Mytilene at 20:00. Extra: 15€ per person for the Turkish hamam.